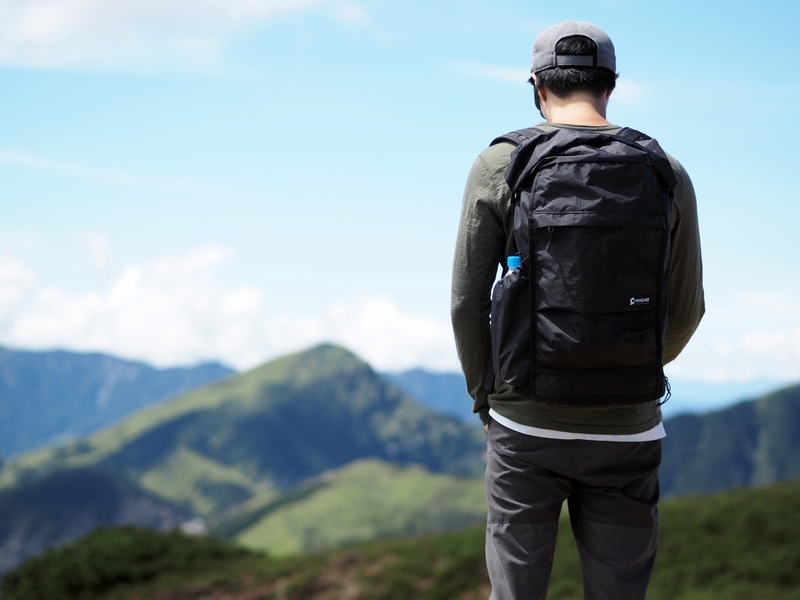 GARNET, a crossover utility day pack, adopting high-end, waterproof, and abrasion resistant fabric "LS42" as its main fabric, which is low profile but setting new trends. 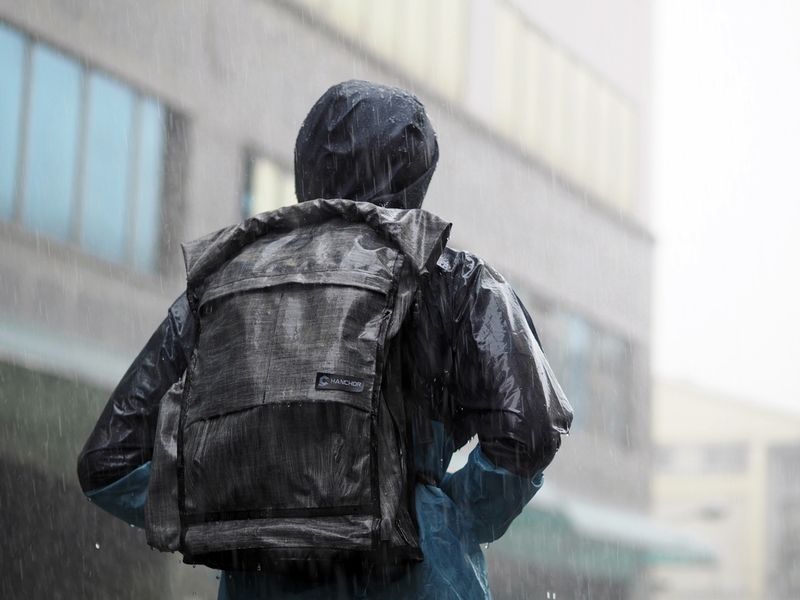 Together with unique stitching/construction technique, roll top closure design, and YKK water resistant zippers, GARNET is able to deal with sudden weather changing. 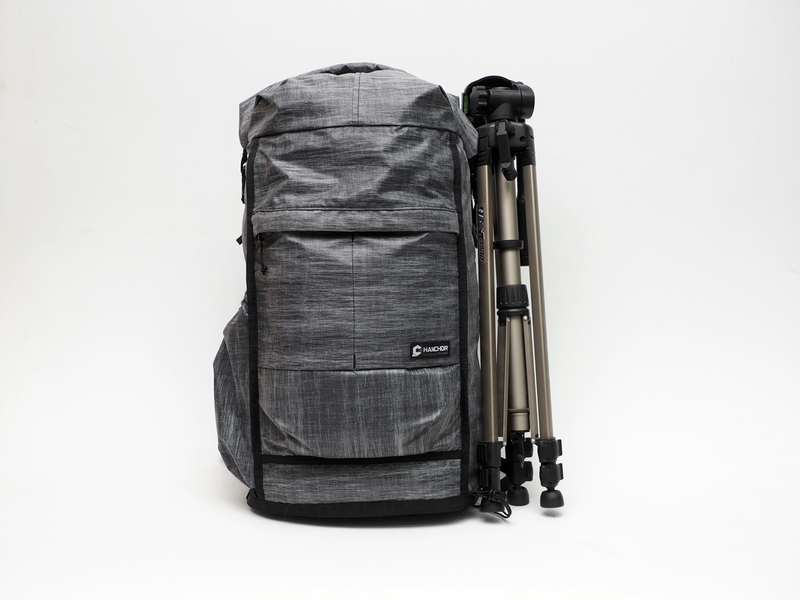 Combining features for urban and outdoor, yet keeping it light weight, GARNET is an all-around backpack fitting your city life and outdoor trips providing comfortable carrying experience for everyday! - The bottom seam is bounded with thick webbing from outside. 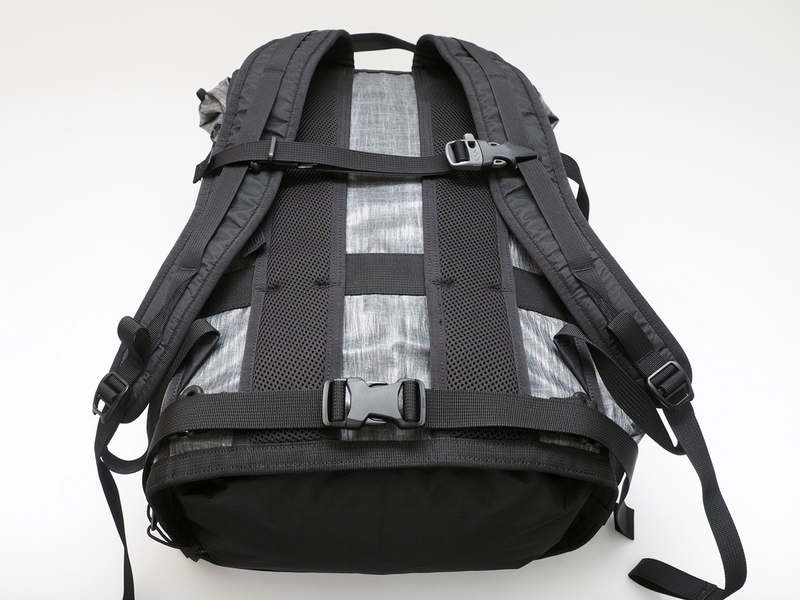 • Thick webbing bottom seam binding makes this pack easily stand on the ground. 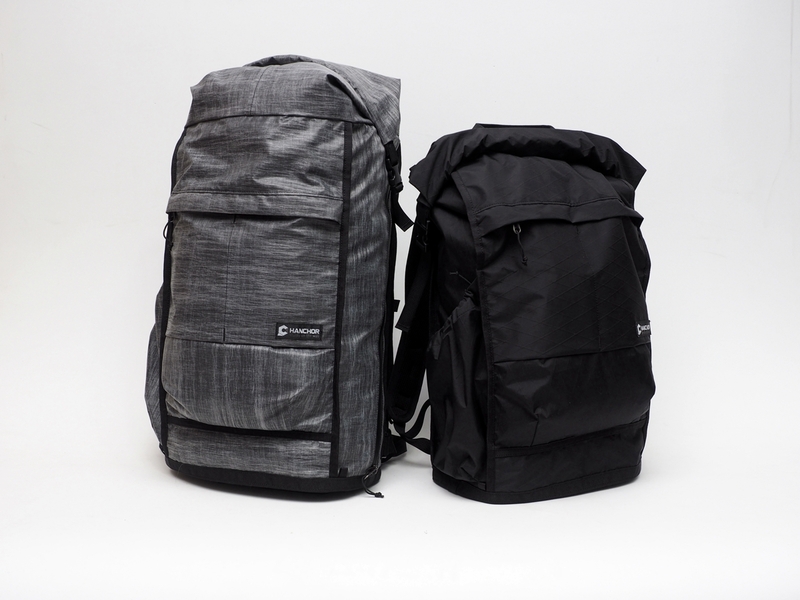 GARNET is a crossover utility backpack, available in two kinds of materials: LS42 and XPAC VX21. 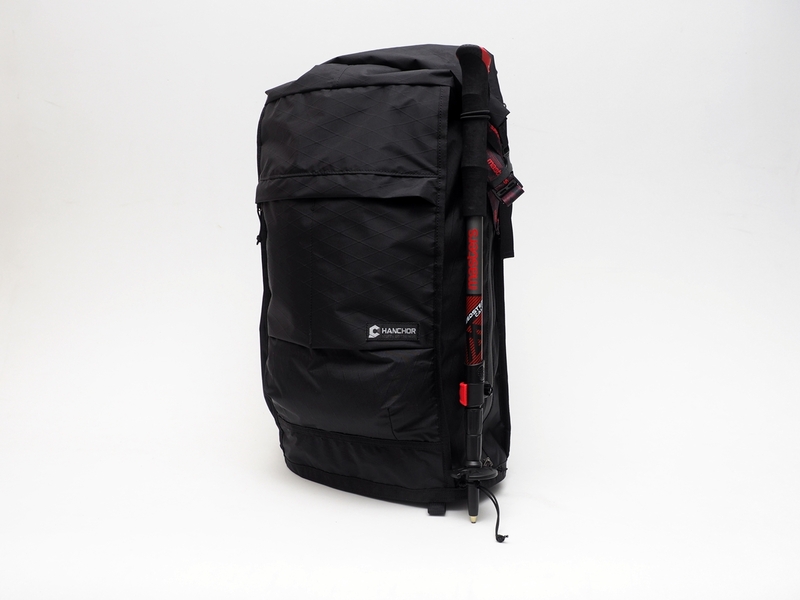 GARNET features ventilated Two-Track Lite frame, roll top closure, and weatherproof construction. 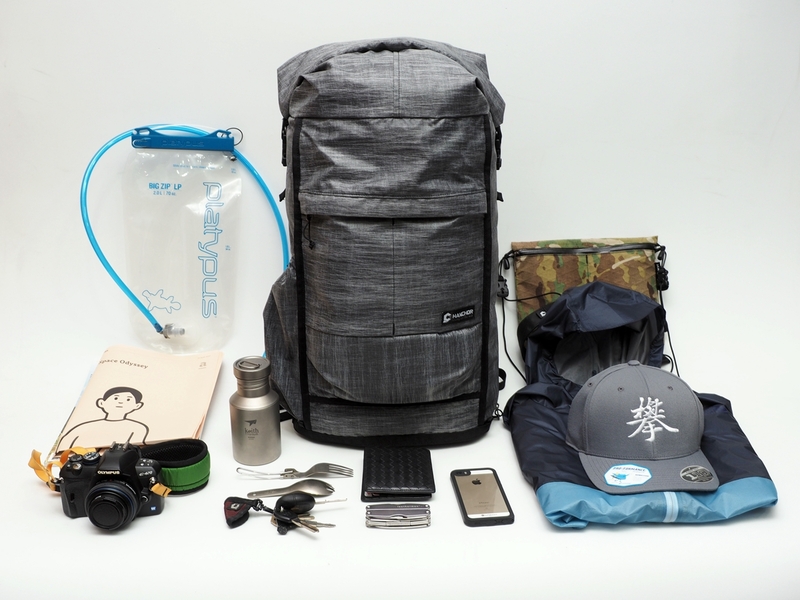 It is an all-around pack which can fit your city life or outdoor trips. 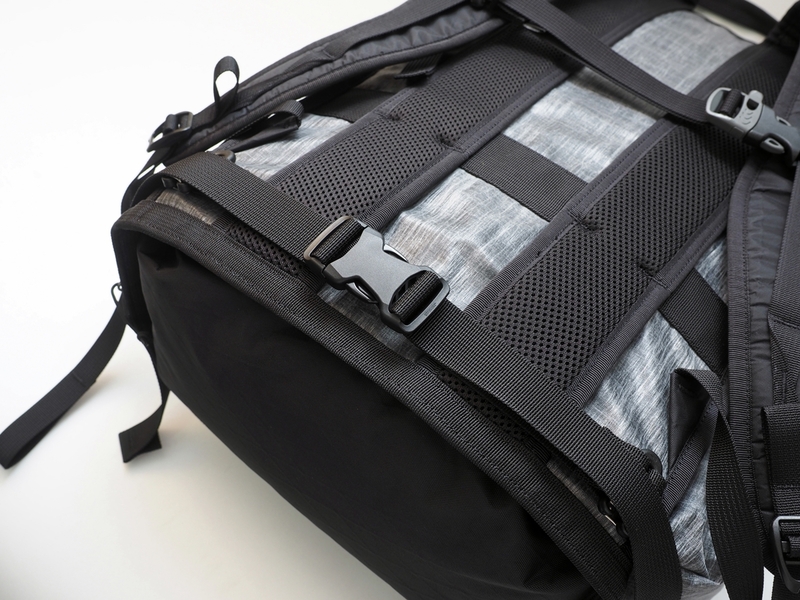 Roll top closure not only enhance the weatherproofness but also make it easy to adjust the volume of the backpack. 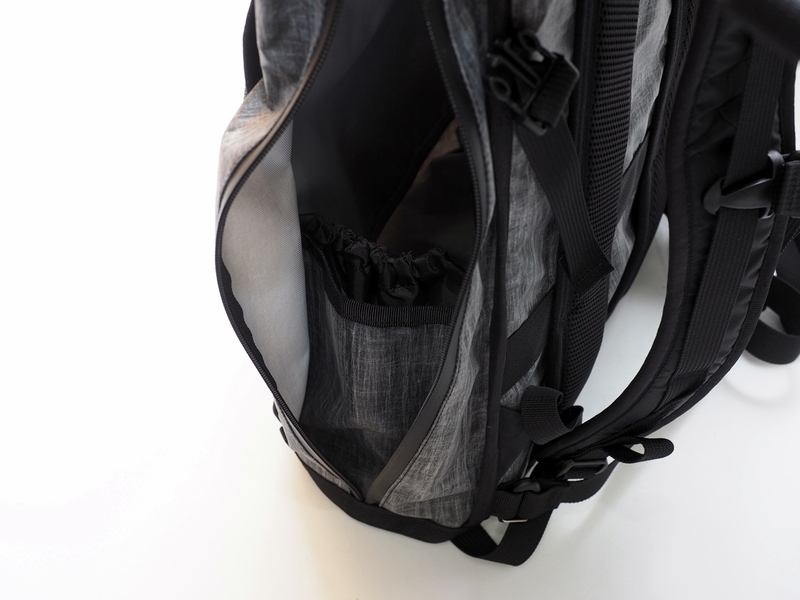 GARNET equips a long side zipper, which allows easy access for the stuff in the main compartment. 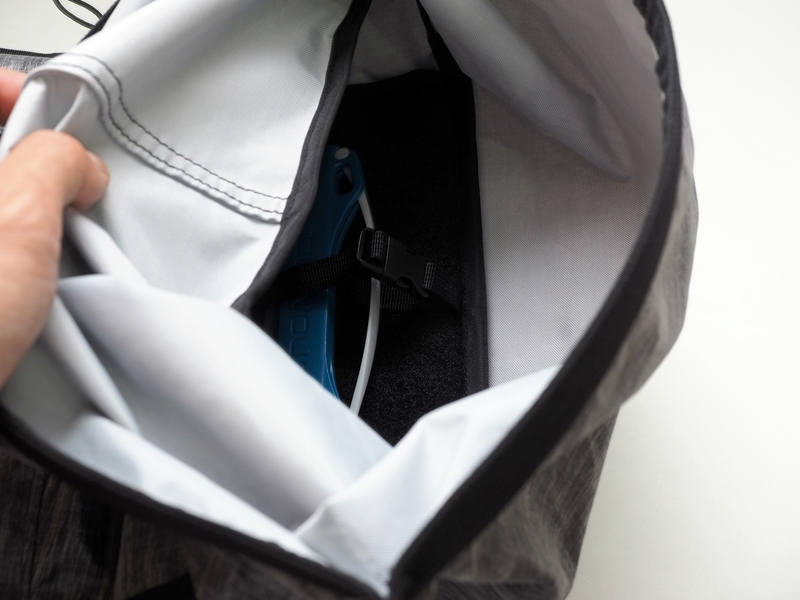 Hide-away pocket on indie zipper is good for holding small accessories at the same time stop the rain leaking into the main compartment. 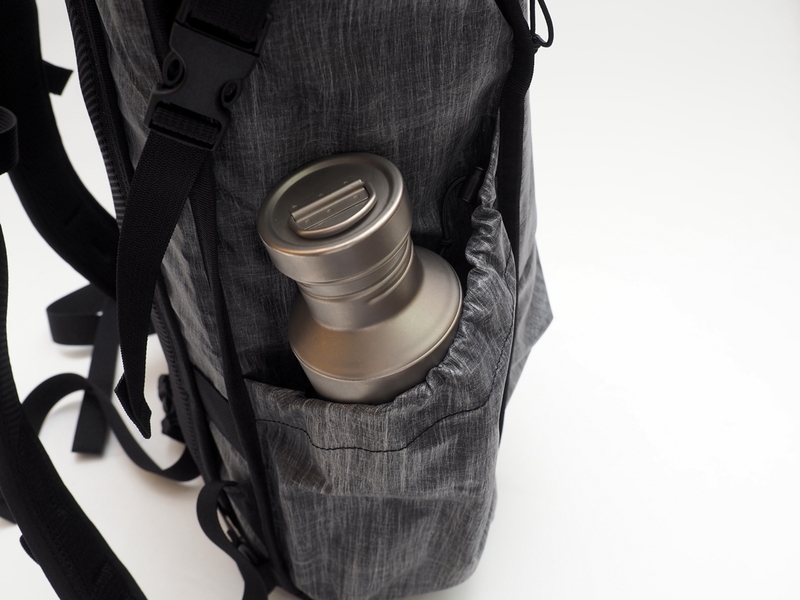 Water bottle pocket on the other side. Asymmetric design. YKK water resistant zippers plus zipper cover piece at front form a double protection from the rain. 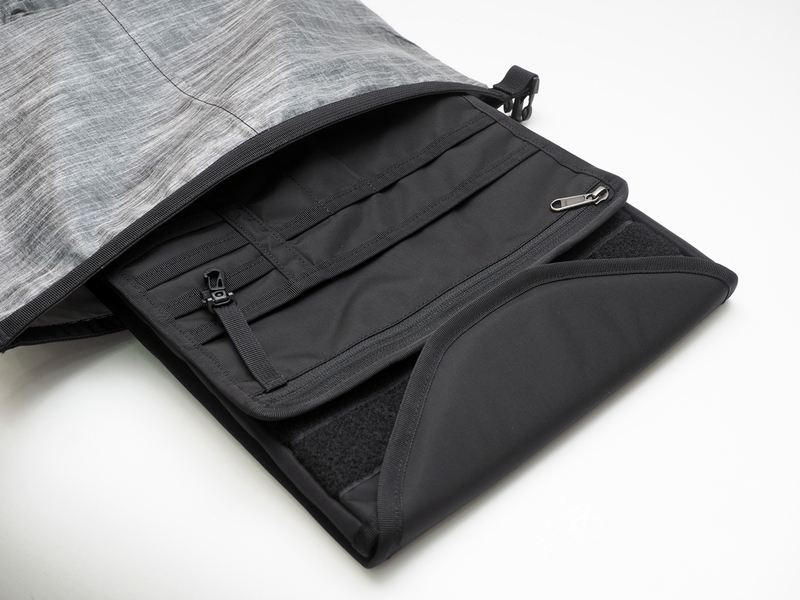 Three internal organizer pockets in the front pocket are convenient to help you further organize things. Buckles for clipping hydration bladder. 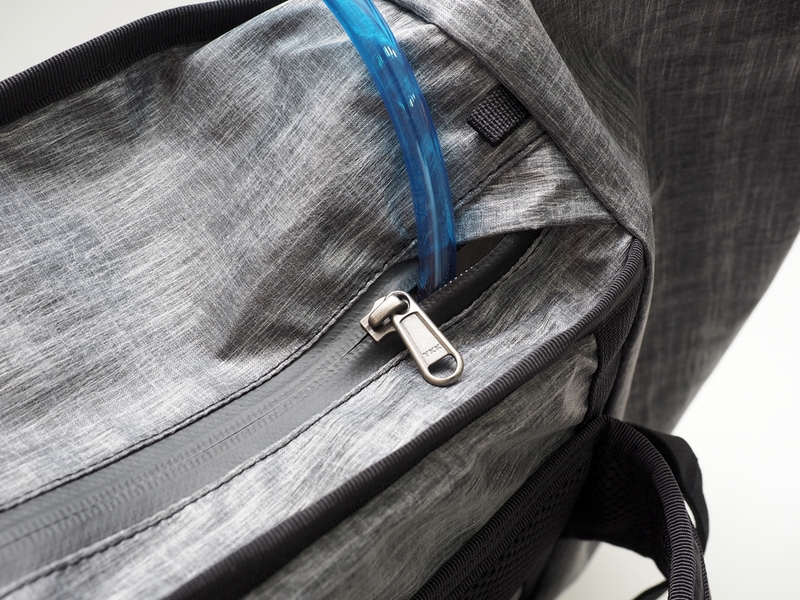 Leveraging the side zipper to make a hydration port on the top. 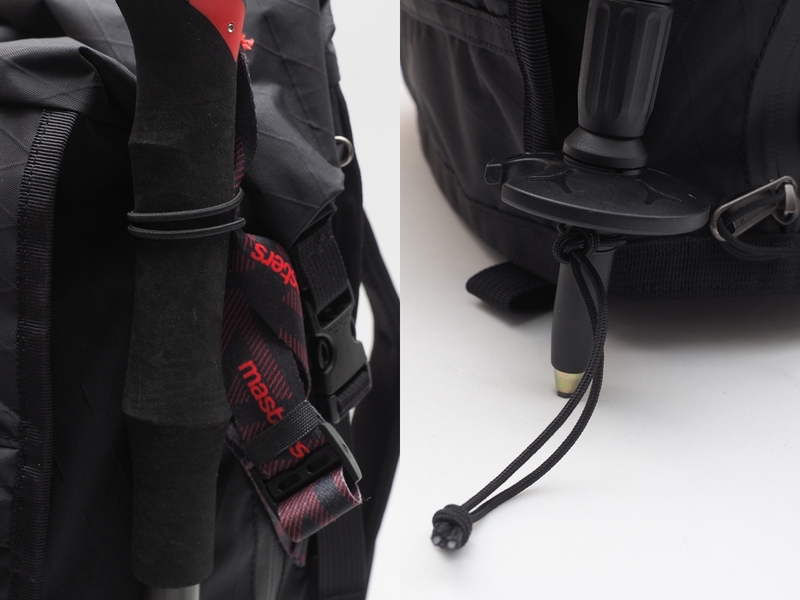 Shipped with two bungee loops and two string loops for attaching additional items onto GARNET, such as trekking poles or tripods. Modular design with optional attachments to fulfill your needs. 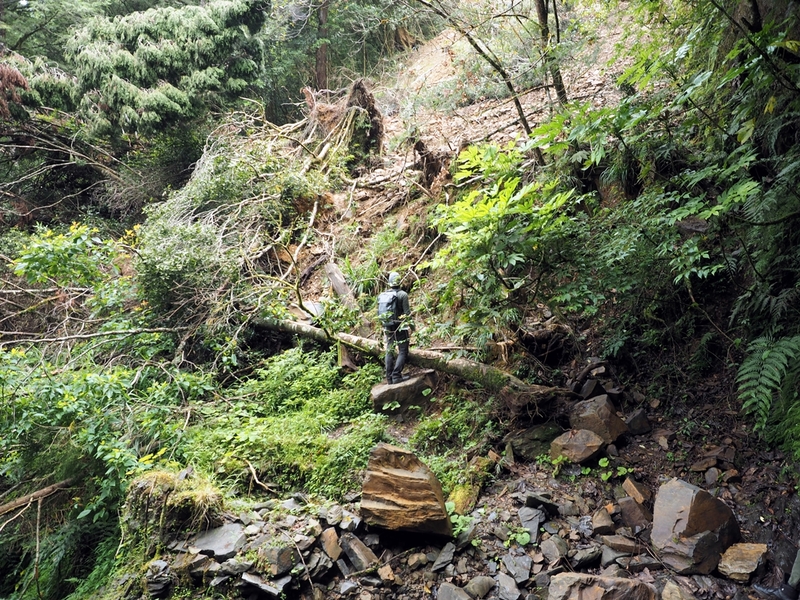 Comfortable Two-Track ventilated suspension system with removable pad frame. 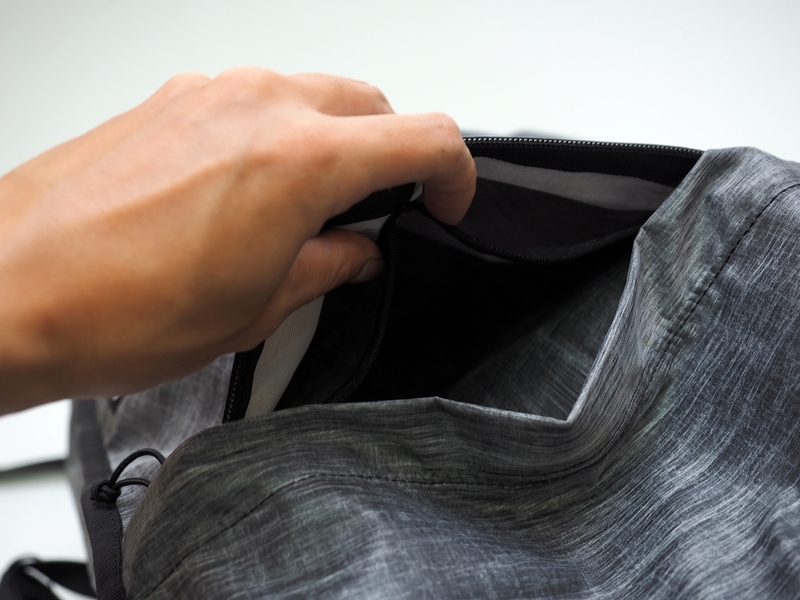 Adopt VX42 and thick seam binding at bottom part. 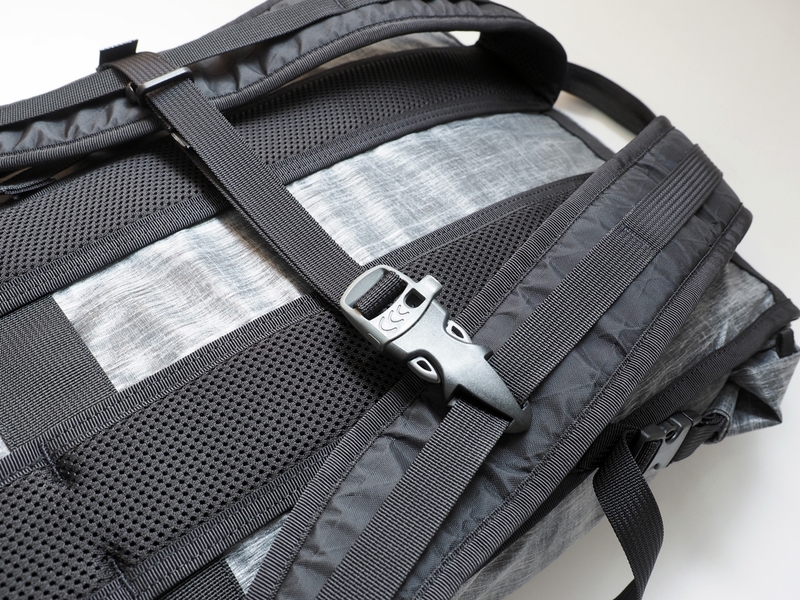 This removable sternum strap helps with pack stability. 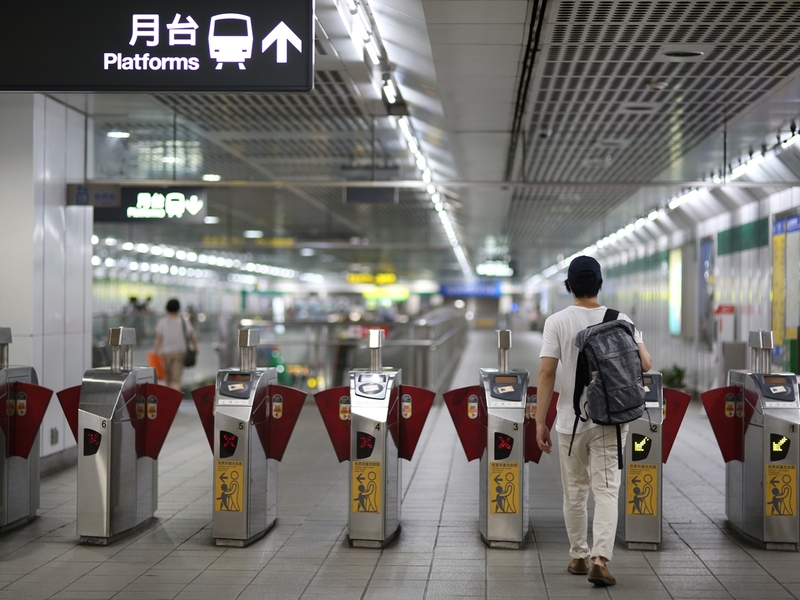 It has whistle feature for emergency signaling. Shipped with a one-inch webbing hipbelt. 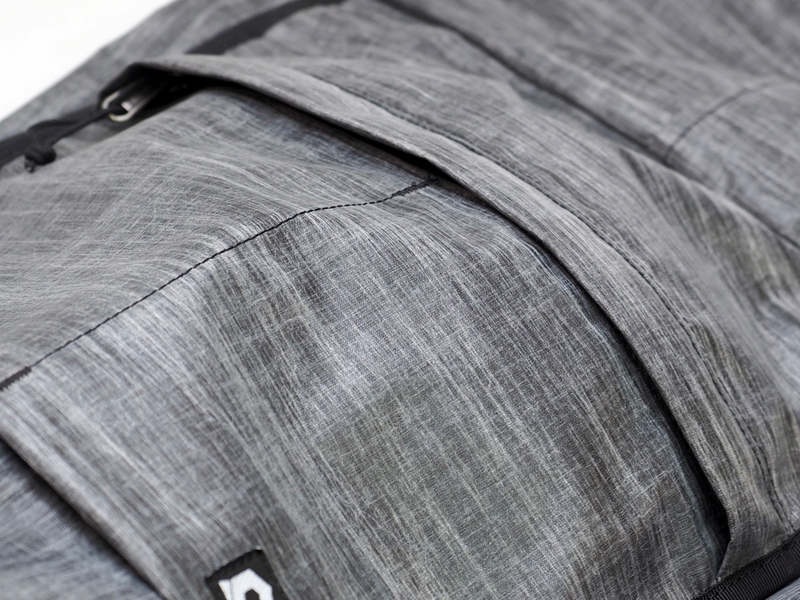 With unique construction/ stitching technique, roll top closure design, and YKK water resistant zippers, GARNET is able to deal with changing weather condition.